The following article profiles work performed by ICTR researcher Renee Denise Boss, M.D., associate professor of pediatrics at the Johns Hopkins University School of Medicine. A report of the analysis, published in the Nov. issue of the Journal of Perinatology, highlights a persistent gap between family and clinician understanding of infant outcomes, and the need for clearer communications strategies, the researchers say. “Parents of critically ill infants need conversations that help them plan for the future of their infants and their families, and our study shows that we have a long way to go in improving that process,” says Renee Denise Boss, M.D., associate professor of pediatrics at the Johns Hopkins University School of Medicine and the study’s first author. Boss says previous studies of the process have mostly relied on what physicians, nurses or parents remember about such conversations, which may not accurately represent what was said and what was understood. For the new study, Boss and her colleagues analyzed a collection of 19 audio recorded meetings with families whose infants were in NICU between October 2012 and October 2013. The research team analyzed meetings that attending physicians identified as those involving “difficult” news, such as genetic disease diagnoses or those requiring consequential decisions about further care. Families consented to have the meetings recorded, and the meetings included up to two family members, one physician and one nurse. After the meetings, participants completed a written survey in which they were asked to estimate the likelihood that the infant would survive without serious problems, and clinicians were asked to judge whether life-sustaining therapy could or should be withheld/withdrawn from the infant, as well as to rate their comfort with delivering bad news. A total of 16 conversations that each included at least one segment of conversation about prognosis (defined as any forecast relating to the infant’s future outcome) were included in the analysis. Boss and her team coded the content of each conversation for the following categories: 1) speaker; 2) timeframe of prognosis; 3) topic of prognosis; 4) focus of prognosis; 5) explicitness of prognosis; 6) affective framing (pessimistic vs. optimistic); and 7) clinician assurance of nonabandonment (statements such as “We will continue to work with yo u to figure out what to expect for your son.”). The analysis showed that families rarely raised the topic of infant prognosis, and clinicians did so two-thirds of the time. Overall, Boss says, there was little discussion of how an infant’s prognosis would affect the infant or family’s quality of life, and prognostic statements made by clinicians were twice as likely to be optimistic than pessimistic. Clinicians’ expressions of nonabandonment were uncommon. Only in two cases was there complete clinician-parent agreement about infant prognosis, Boss says, and in all but one of the remaining cases, did the parent(s) believe the prognosis to be more optimistic than clinicians did. In 10 of the 16 (63 percent) cases, clinicians believed the infant had less than a 10 percent chance of surviving with no or minor disability, but only three parents indicated such a percentage. Prognostic information that clinicians shared was largely broad and practical. For example, instead of telling parents that their infant was likely to have neurodevelopmental delay and what that might look like, clinicians informed parents that the infant would need “developmental follow-up” and gave instructions for making an appointment with a clinic for that purpose. 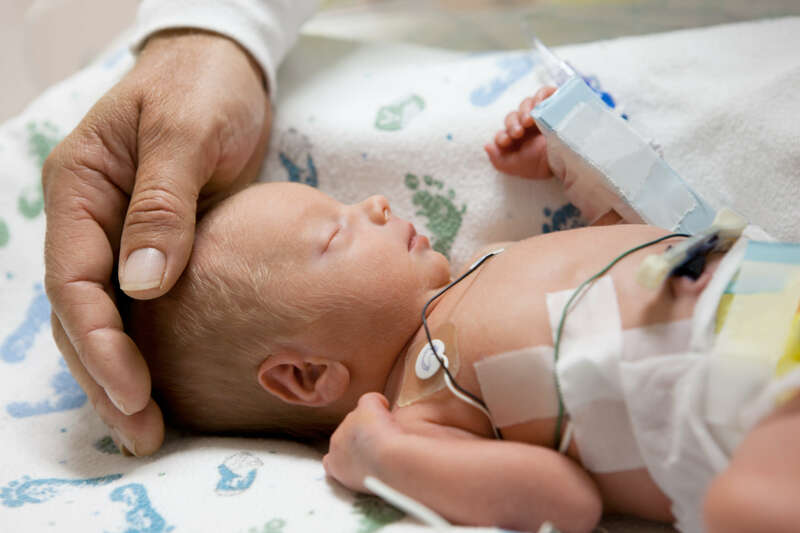 Boss acknowledges the limitations of a study that only analyzed one conversation within a critically ill infant’s health care journey — potentially missing other prognostic conversations — and that did not have a communications model specifically designed for NICU parents. But, she says, the study will hopefully prompt steps to improve prognostic communication, such as skills training for medical staff or creating lists of questions for parents to ask. Other authors on this paper include Monica E. Lemmon and Pamela K. Donohue of the Johns Hopkins University School of Medicine and Robert M. Arnold of the Montefiore University Hospital. Funding for this study was provided by the National Institutes of Health (1K23HD062643-01). COI: Lemmon has received compensation for medicolegal work.